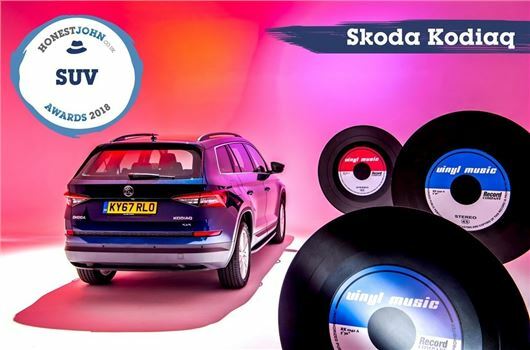 The Skoda Kodiaq impressed the HonestJohn.co.uk team when it was launched in late-2016 and its popularity has gradually grown to push it to the top of the SUV table. Praised for its affordable fuel costs and spacious cabin, the Kodiaq can be specified with five or seven seats and officially exceed 50mpg when specified with diesel-power. As far as HonestJohn.co.uk readers are concerned, the Kodiaq is the SUV of choice. Dan Powell Managing Editor of HonestJohn.co.uk said: “Comfortable, spacious and well-equipped, the Kodiaq ticks all of the essential SUV boxes. Smartly styled and easy to drive, it's become the most popular SUV with our readers and it's easy to see why they hold it in such high regard."